The Zinn Life: August 2017 Stitch Fix Review - My First Maternity Fix! I finally get to post this! I was so, so excited to go into my Stitch Fix account and hit that "maternity" button. It was slightly ridiculous. But I was also really nervous! Maternity clothes have been hit or miss for me. 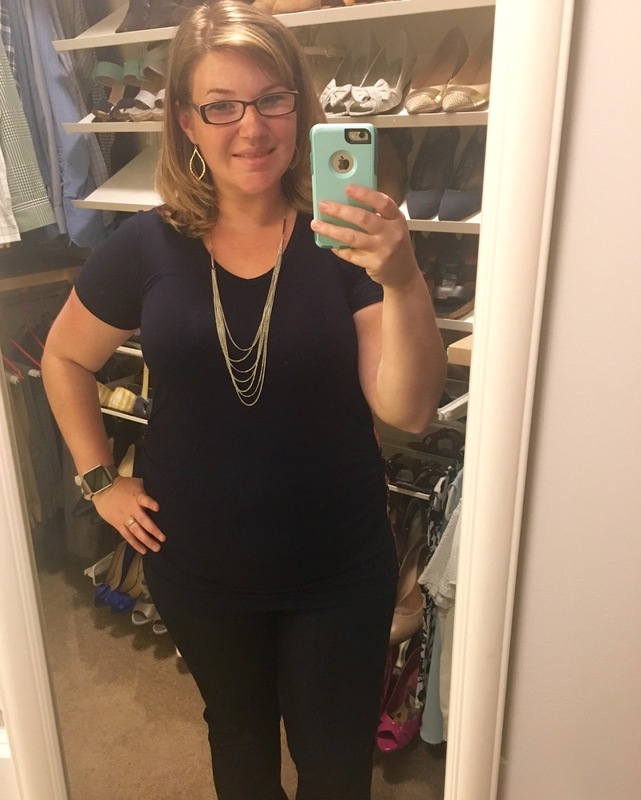 I have been out of my regular pants since about 8 weeks, but I don't look "pregnant," just pudgy or fat. The full secret belly on pants felt like too much, but look the best on. I'm not a huge fan of the belly bands, though I've made them work a few times. And the elastic waists are too tight for my still fluffy belly. To say it has been frustrating is an understatement. LulaRoe has been my wardrobe savior lately (hello Carly and Cassie!). 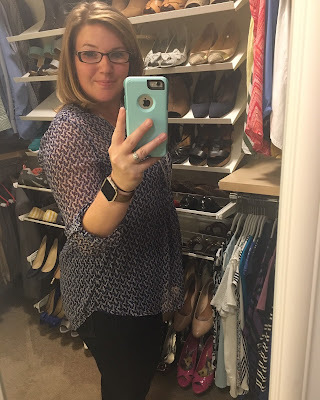 I've managed to find some pants and jeans that actually work (after many failed attempts), but I was in need for some good work tops, so that's what I requested in this fix. 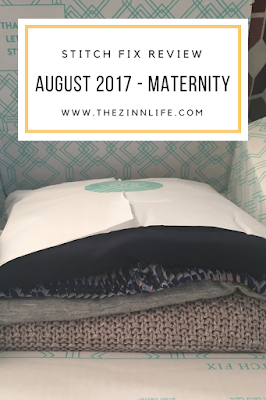 In true Sarah fashion, I read all the Stitch Fix maternity reviews I could before mine arrived. I was curious what people were getting as there is less maternity on Pinterest than the regular clothes. What I noticed was that not everything was maternity, which is good, but that many people got new stylists, which wasn't good. I've had Kelly for about a year and she gets me. I've had two 5/5 boxes with her and she has nailed my style every time! So when you put my maternity clothes fight and possibly losing my favorite stylist into play, I was nervous for this fix. But it was amazing. Spoiler - I kept all the things! First off, I got to keep Kelly. 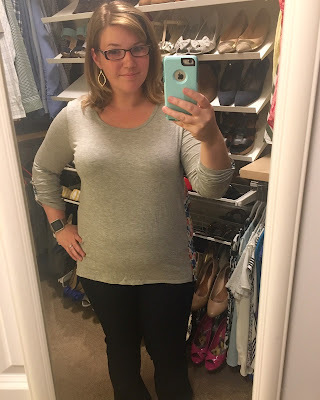 I asked for some tops and items to transition to fall. A lot of my work tops aren't stretchy material, so I'm down to about four that fit. That's not a lot unless you do all your laundry every week (and I don't). When I peeked, because I always peek, I was really excited with what I saw. So, let's get to it! Also, this box arrived when I was on vacation so I literally had a day to decide before sending it back. Therefore, mirror selfies it is! 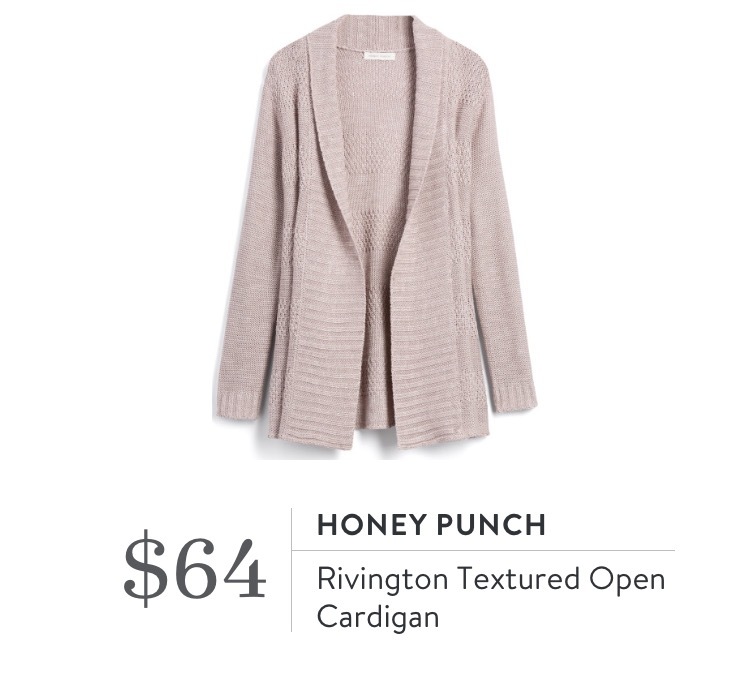 If there is anything I don't need another of, it's cardigans. However, and it's a big however, this thing is amazing. One, I don't have a good neutral color like this that will go with everything. I have a lot of jewel tones, but not a good light neutral. Second, it's super soft and comfy. Kind of like being in a gigantic afghan. It's amazing. Third, it's an open front, so it will work all through this pregnancy and after. 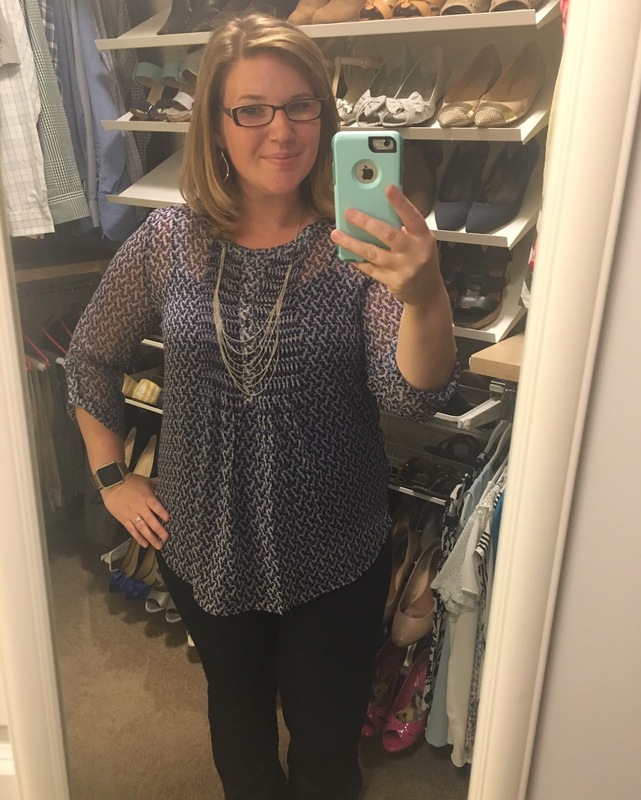 I actually enjoy getting jewelry from Stitch Fix once in a while. 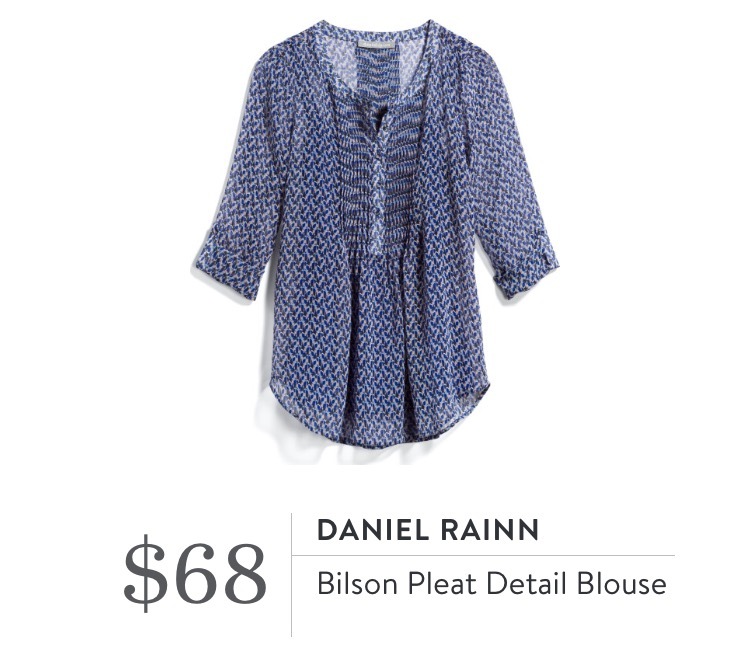 The price points are decent and I usually get some really good, basic pieces. Amazingly, with all the jewelry I do own, I don't have a plain silver necklace. They all have some sort of color or stones in them. 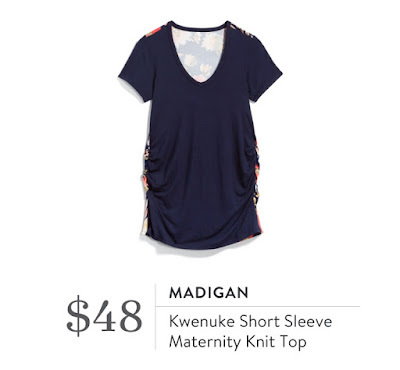 Kelly suggested I pair this with the Madigan top, so I did (see photos above) and you'll see it again with the Daniel Rainn top! I've already worn the necklace twice since I've had it and I was only at work three days last week! My first thoughts on this top were a) it's not maternity, b) it's really expensive and c) I love all things Daniel Rainn. Super conflicting amount of pros and cons! 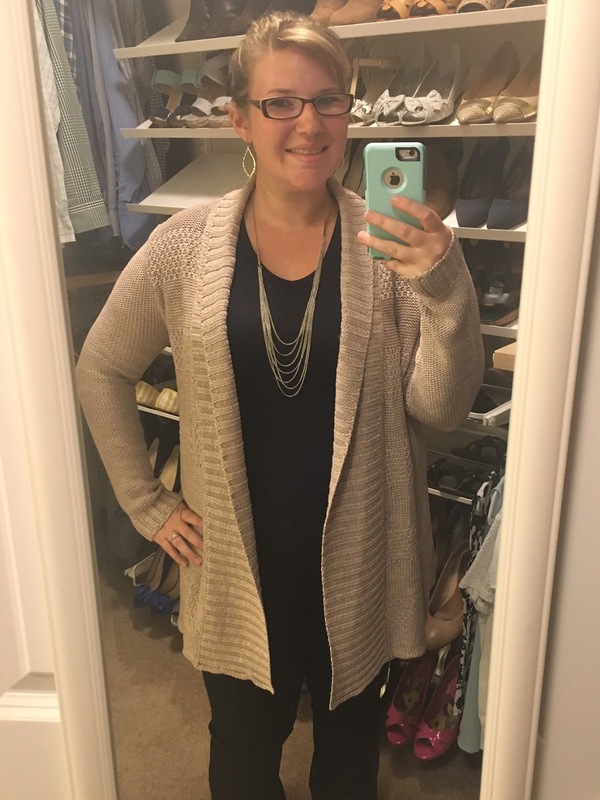 Kelly mentioned in her note that while it's not maternity, it would work for 1st and 2nd trimesters because it has some extra flow and room. It definitely does. I still have plenty of belly room in this beauty. As for the price, I decided that it was worth it. It came with a cami and the fact that I'll be able to wear both during and after pregnancy made it worthwhile. 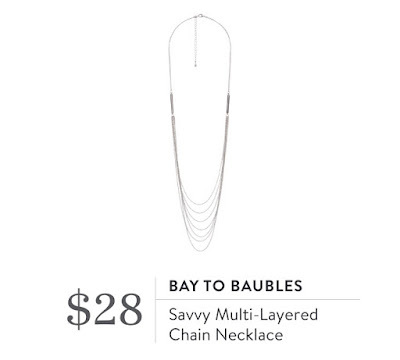 Here, I've paired it with the Bay to Baubles necklace that also came in my fix. This is the only actual maternity top out of the lot. I would call this more casual than work friendly, but I can totally get away with it on Friday or under a cardigan, so that's a plus. The front is a super soft cotton and the back is a super soft silky material that breathes (important!). 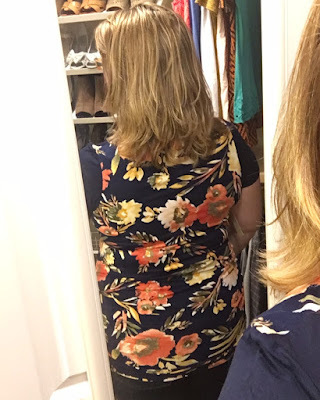 I love, love, love the back of this top. The colors are so gorgeous. 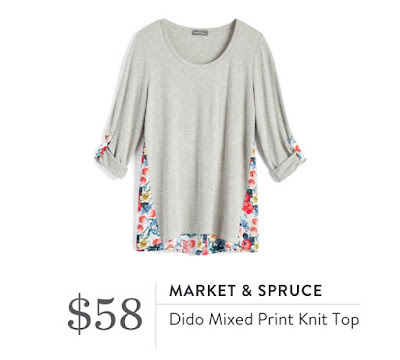 Disclaimer - I kept this top solely for the 25% discount and turned around and sold it on the Facebook boards. It literally sold in an hour. I only sell on the boards when I have 4 items and the 5th isn't going to work for me, otherwise it's not worth the effort to sell the item. But that 25% discount is too sweet to give up when you're already keeping 4 of the 5 items! I sold the item with the 25% discount plus shipping, so it all worked out. On regular body Sarah, this would have been a total keeper. Front was super soft and it wasn't too clingy. But the back was a stiffer fabric, so the front was already starting to creep a little on the belly. It's not even that big yet! Aaron told me that if it was already creeping, not to keep it. He's been really supportive of me buying clothes that fit and I feel good in (because I mostly just feel fat), but he's also been really good at telling me if something is worth it or not. So, this one we nixed. I was so excited and happy with this fix! 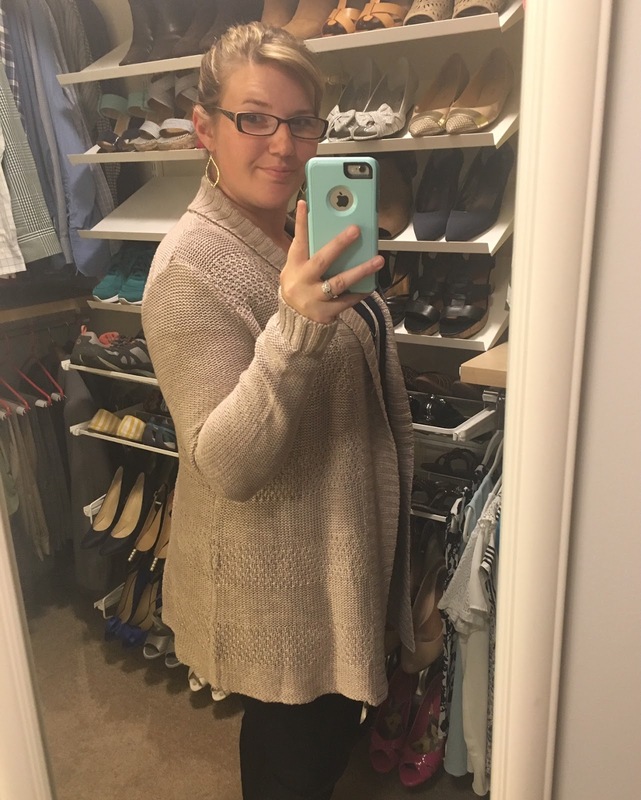 The whole maternity/pregnant clothing thing has not been my favorite so far, so having a few items that I love makes me feel better. I'm looking forward to my next fix! What do you think? Would you have kept (not sold, ha) or sent back things that I didn't?! You had some awesome fixes. And you look amazing in all of them. 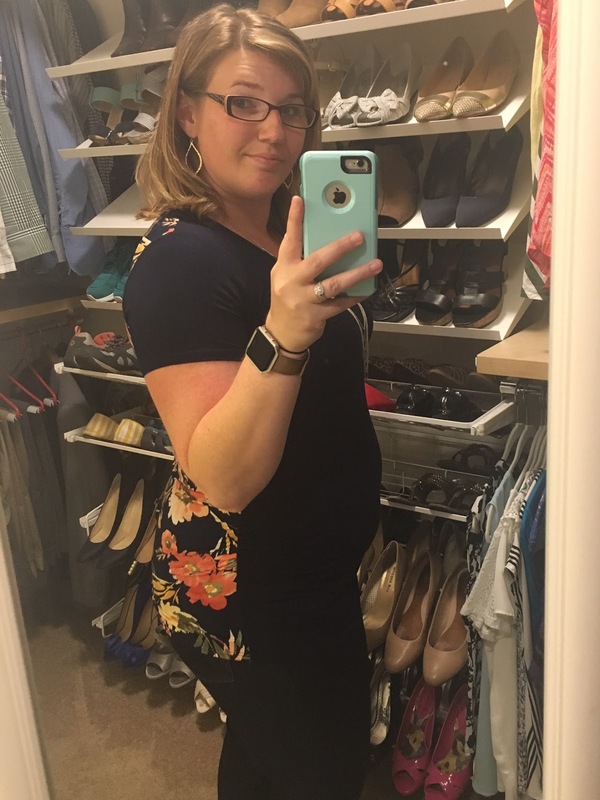 Can't wait to see that bump grow in those clothes. Thanks Melissa! It was great to see you on Thursday! These items all look great on you! Thanks for sharing! I love stitch fix reviews! Thanks so much Kasey! 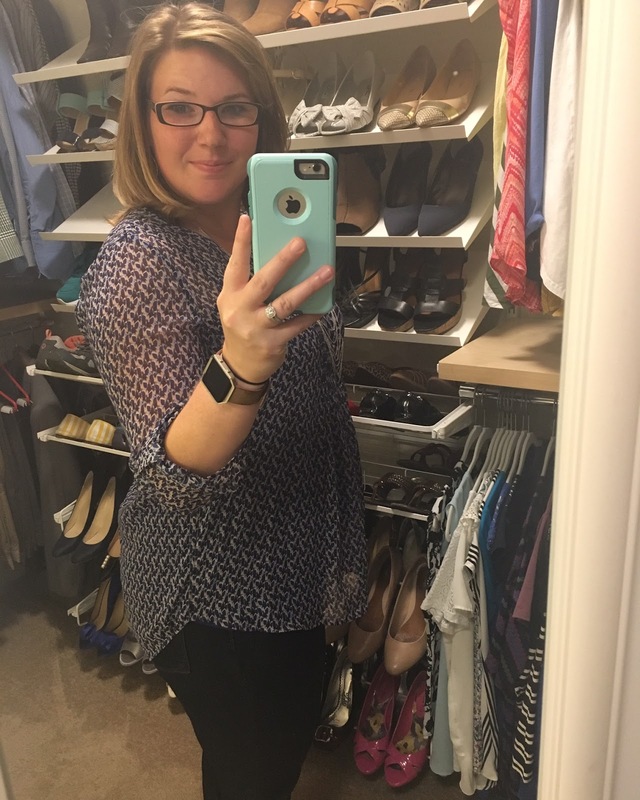 I love stitch fix reviews too! Some of my favorite things to read!